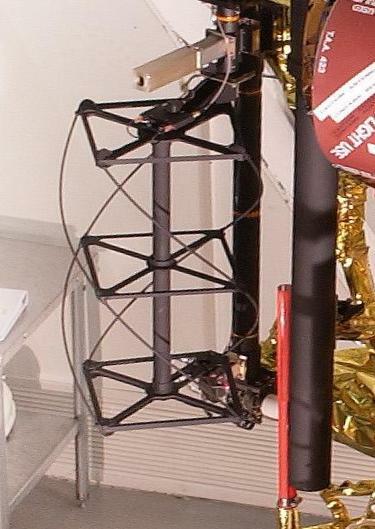 One of the two QFH antennas on NOAA-17 (Photo courtesy and (c) Lockheed Martin The quadrifilar helicoidal antenna - quite a mouthful - is easy to construct (even though it does look complicated), and the results are excellent. 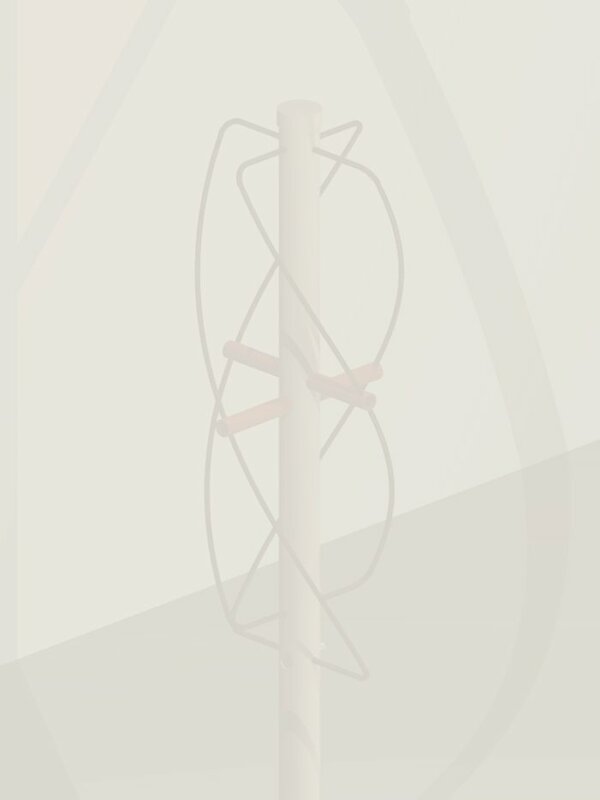 In contrast with the omnipresent turnstile antenna (two crossed dipoles with a reflector) the circularity is almost perfect in any direction. I've also received quite a few reports from people who built the antenna using the data from this page, who were very satisfied. In it's original form, the relation between diameter and height is 0.44, but decreasing this relation slightly, a still better coverage of for satellites near the horizon is obtained. In literature and on the web, extreme versions can be found. If the left column of this page (under 'Pictures') are links to pictures of several versions built by me and sent to me by several happy readers. The first link shows images generated by POV-ray. Hi, your page is very interesting. I'm interested in an omnidirectional antena with circular polarization on 2.4 GHz, but I'm not sure if you have seen any successful tests using the QFH for 2.4 GHz. According to the calculator, I get an antenna which is slightly over 4.8 cm in height. Could you tell me the gain which would have this antenna? Would it be useful for a hot spot? The correct term is directivity - i.e., the capacity of antenna to direct the available power into one preferred direction. This looks as a gain in the correct direction, but the power was 'stolen' from elsewhere. The QFH is an excellent antenna for satellites, as it receives from 'the entire northen hemisphere', from horizon to horizon, with all the sky in between. Such an antenna cannot have any significant 'gain', as it doesn't have directivity. Such an antenna is not useful for hot spots, as you probably won't have any clients 'in the sky'. Moreover, your clients, except if you give them new, circularly polarizaed antennas, will probably be using vertical antennas from their laptops or notebooks. This means an extra loss of 3 dB because of the polarization. I'll put this text on the page, as it seems to be a regular issue. Astronomy with simple tools. This is the page of Heiko Mayer who helped my translate this page into German.